Maggie has a cyst on her face that week be removed on June 7th. 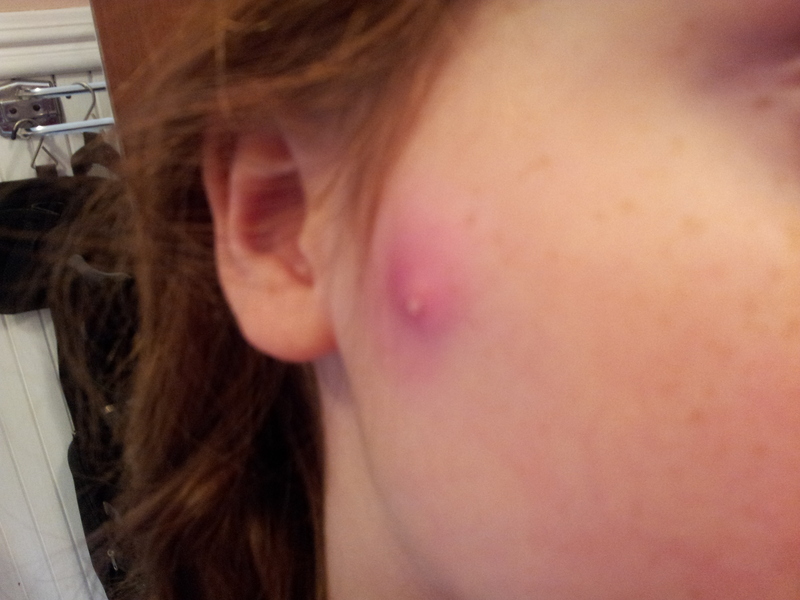 Up until this past week, it had just been a bump on her cheek that was sometimes bigger, sometimes smaller. Right AFTER making the appointment to remove it, the thing exploded! So, so gross. And painful for poor miss Maggie. She can’t wait to get rid of it…but is a bit afraid of the stitches she’ll have. Keep her in your thoughts on the 7th! I am a new sufferer and falilny found relief from castor oil. I tried tea tree oil first and the sting was unbearable (even diluted it with olive oil). This weekend I applied castor oil and the cyst began to drain. I was so surprised-and relieved! The cyst is now very small and I realized I was sitting down normally with no pain. So far, castor oil has been the best treatment I\’ve found. But be of good cheer! None of the above need happen to Quotes Chimp. You have what it takes to be an “A #1” consumer of insurance services.